OLIVIA and Andrew Porteous credit their father Willie with giving them a solid platform on which to build successful careers while they were growing up. “I remember when we were 16, during the school holidays, it was expected that we go and get jobs,” Olivia said. Despite building his own very successful career and business, Willie had no aspirations for his children to join him in the industry, only wanting them to be happy and “do something sensible”. Growing up, Olivia and Andrew also had no plans to follow in his footsteps. Olivia went to university in the UK and studied Classics and Latin before travelling. She was enjoying life in Portugal when she was asked to join a development company and sell holiday villas and apartments to the English. 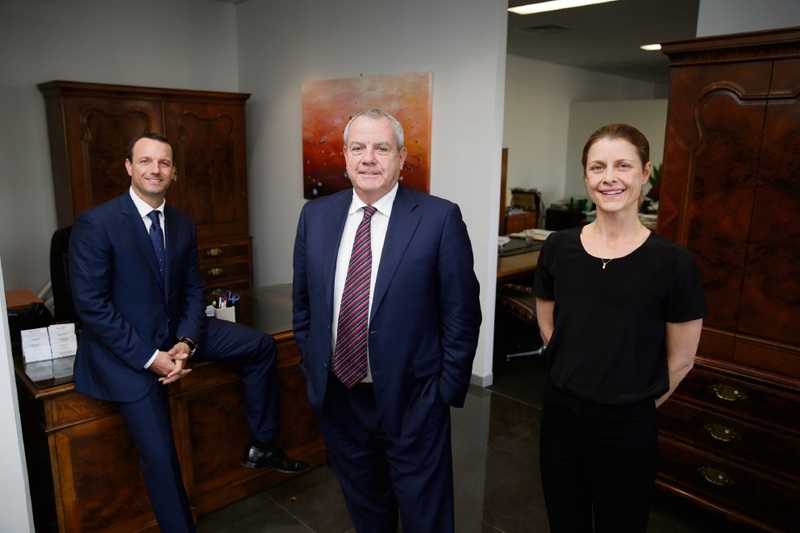 After four years in that role, she returned to Australia and worked with Mirvac for seven years before joining her father shortly after he opened his business, William Porteous Properties International. Andrew had dreams of being a professional tennis player. “My father said get your education first but by then it would have been too late to compete at that level. Instead I ventured to Japan for five years and studied Japanese language as part of a Bachelor of Arts at Sophia University in Tokyo,” he said. While all three members of the Porteous family now have highly successful careers, they recommend people looking to come into the industry get some life experience, build skills and get other qualifications. Andrew said it was important to be mature and resilient when you came into real estate. “Throughout my life people have said you should join your father but I never considered it until I came back to Perth after living overseas for 28 years,” he said. “With 15 years of sales experience, it felt like the right time to turn it to real estate. “My first experience in the industry was selling a major residential project in the city; with the GFC the project did not go ahead but it was a great opportunity to cut my teeth. Olivia said real estate was not the glamorous life often portrayed in shows like Million Dollar Listings; you needed to be able to handle rejection, have patience and truly enjoy being around people. After nearly 40 years in the industry, Willie said he still loved houses, property and people, with a lot of clients becoming good friends. “A lot of people say to me ‘why don’t you retire, aren’t you tired of putting up home open signs on Saturdays?’ but I still get a real buzz out of it,” he said. Willie said the next 20 years |were going to be very exciting in Perth. “Olivia’s husband is a developer/|builder and Andrew’s wife is very involved in business,” he said. “I think the opportunities for them to grow the business and take a position in new developments are going to be huge.